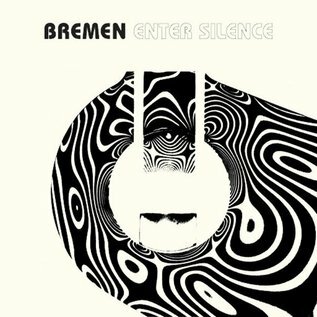 Following a trio of sprawling, planet-gargling double-LPs, Bremen -- Jonas Tiljander and Lanchy, previously best known for their contributions to Brainbombs' long rap sheet of genius-and-brutality, but latterly exponents of a rarefied cosmic melancholy -- return with Enter Silence, their most concise, and powerful, album to date. Once again, the Uppsala multi-instrumentalists combine elements of trogged-out psychedelic rock with a deadly serious Arctic minimalism and weeping modal improvisations that owe more to the outer limits of jazz and burnt-out free music from Japan. It's connoisseur's space music, grown-up and grievously honed; outwardly inclined towards the epic but studded with details that reward attention and introspection. There's always been a strong undercurrent of sadness animating Bremen's work, and that existential burden is present and correct on Enter Silence. It's a cold, cold world out there.